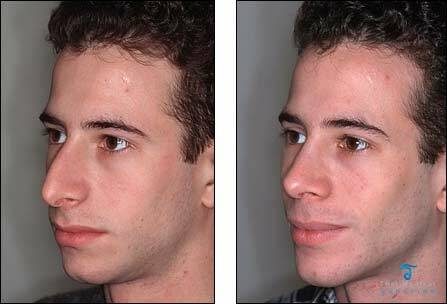 Chin augmentation surgery is also known as Genioplasty or Mentoplasty. 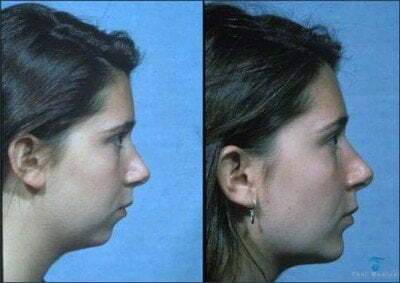 Chin Implants will allow you to have a completely natural look, like you were born with that chin. Chin correction is a cost effective and safe plastic surgery procedure that can drastically improve the balance of your facial structure and profile view by correcting a receding or “weak” chin. Age related bone resorption,sports injuries, congenital deficiencies or other trauma are the main culprits for weak chins. This can cause your nose to look much larger than it really. Chin enhancement surgery using silicone implants is also a simple alternative technique for a prominent chin with a better chin projection and shape. The use of silicone chin implants for chin correction is known as mentoplasty. Implants come in many shapes and sizes depending on your face and profile. We use genuine USA made Chin Implants to create a new stronger, wider jawline. The implants are placed over the existing bone of the lower jaws to help produce the desired effects. A successful chin enhancement procedure will require the use of a fully functioning jaw and teeth. If you have missing teeth or receding jawline, our doctors will recommend that you correct the jaw/teeth first before offering chin correction surgery. Alternatives to surgical chin enhancement are temporary but do provide great results using long term dermal fillers such Aquamid,Restylane, Botox, & Juvederm to try to create a stronger chin line without any surgery. Our doctors can provide specific other options once your medical inquiry is received. Chin Implant surgery can be performed by itself but is often combined with other procedures such as as face lifts, Brow Lifts,Lip Lifts,Eyelid surgery ,Nose Surgery,Ear Surgery (Otoplasty),VASER Lipo, cell assisted lipotransfer, BodyTite RFAL Lipo, SMART Lipo and Coolsculpting. The actual surgery only take 30-60 minutes, by one of our board certified Thai Plastic Surgeon at one of our Internationally accredited Thai Hospital or private clinic. The first step is to help you select the appropriate size and shape implants to match your actual anatomy and cosmetic surgery goals. All our implants are 100% genuine, safe and come with the certifications and warranties from manufacturer. They are typically made up of soft,flexible and rubbery silicone material that gets inserted into the chin. An alternative but slightly more invasive type of chin correction is called the sliding genioplasty, or “a chin advancement.” This procedure is more involved and is accomplished by surgically cutting into the chin bone horizontally and then rotating it to help make the chin appear straighter. A Sliding genioplasty procedure doesn’t use silicone implants and is physically shifted to make your chin slightly longer or even shorten it vertically if desired. For chin implants our surgeons will most likely make a small incision directly underneath your chin. If the chin implants surgery combined with a face lift, our skilled surgeons can also use the same incision point for both procedures. The incision points for the sliding genioplasty are made inside the lip area. The cost of having chin implants surgery in Bangkok depends on the technique needed to achieve the desired results. 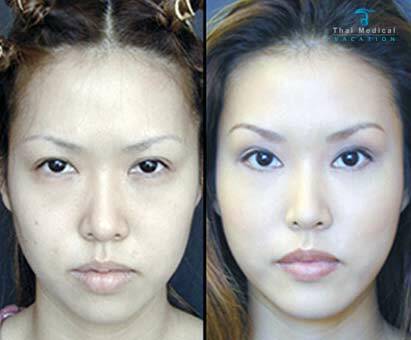 Thai Medical offers Fixed “No-Hassle” prices for all our treatment including chin augmentation surgery. To get prices and treatment options our doctors will need to conduct a quick virtual consultation using your images and basic medical history. The costs we provide upon review will include all your medically related expenses including the implants,surgeon fees, anesthesiologist fee, hospital fees and all followups. We also offer an optional all-inclusive package that can includes your treatment costs, hotel and airport transportation costs for an additional savings of 15-25%. To learn more about our minimally invasive Chin correction Surgery in Thailand please contact us today.